You will definitely enjoy your stay in Maniwaya island as there are plenty of activities that you could do. 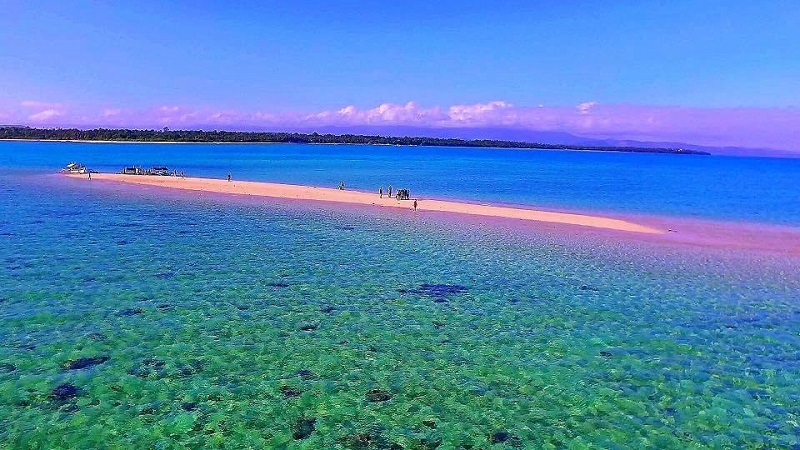 Check out Palad Sand Bar - Not only is Maniwaya Island a great place to get a respite out of the bustle but it also offers some spectacular sites such as the long stretch of sugary white sands in Palad Sand Bar. Ungab Rock Formation – Sail to the amazing rock formation and beach in Ungab Rock. Snorkel – Illegal methods of fishing was rampant in this side of the country in the past but it’s still nice to see the surviving underwater ecology in the waters of Marinduque. Try water activities – If you are the type who easily gets bored with just frolicking at the beach then don’t fret. Water activities such as banana boating, kayaking, jet skiing and paddle boarding are offered in some resorts within the island. Do unlimited photo ops – The place is absolutely stunning! You can get as much dose of those Instagram worthy photos as you like. Test the waters – You’re at the beach babe! What else to do then? You gotta swim! Just frolic under the sun – Nothing beats relaxing by the beach, just watching the tides and the blue skies and simply letting time pass by. Sunset watching – Maniwaya Island has one of the most spectacular sunsets in the country so spending quiet moments by the beach while watching the harmonious color of the breezy afternoon collide as the sun bids the day goodbye is always a perfect way to cap off one eventful day.